A month and a half after President Donald Trump ended his summit with Kim Jong Un without a deal, the young North Korean leader is preparing to step out again on the world stage. 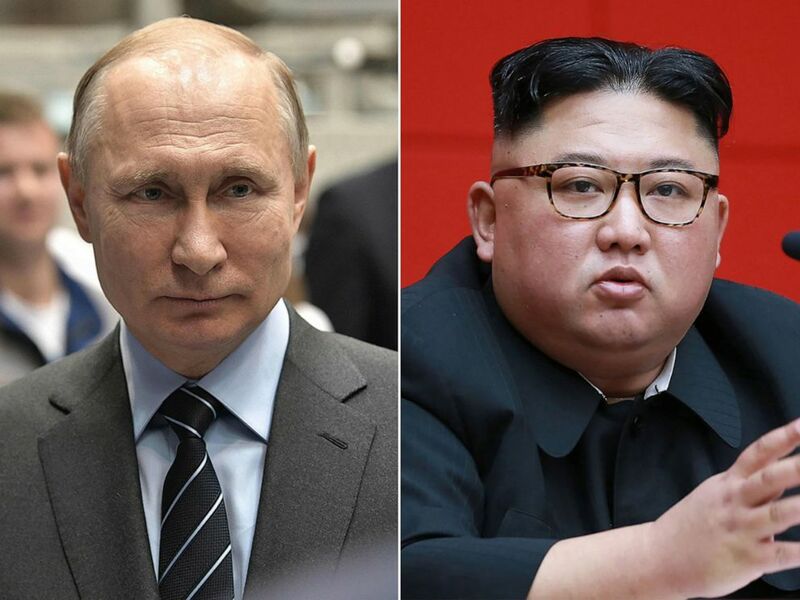 Russian's official news agency, TASS, reported that Kim's train had crossed over into Russia and stopped at the Hasan station on the far eastern border between Russia and North Korea Wednesday morning. The train will continue on to Ussuriysk before getting on the Trans-Siberian Railway and heading to Vladivostok. Russian President Vladimir Putin speaks with workers as he visits a rocket engine manufacturer outside of Moscow, April 12, 2019. North Korean leader Kim Jong Un attends a meeting of the Workers' Party of Korea, April 10, 2019. 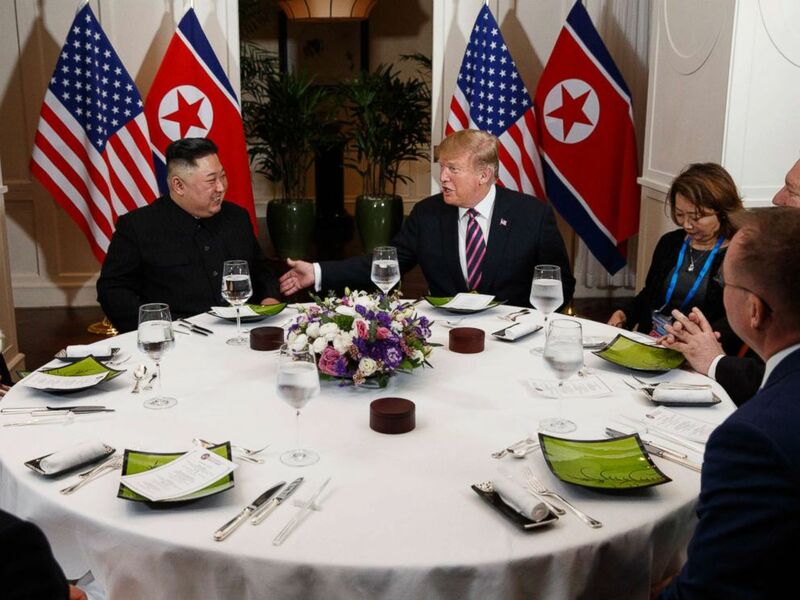 President Donald Trump speaks during a dinner with North Korean leader Kim Jong Un, Feb. 27, 2019, in Hanoi. 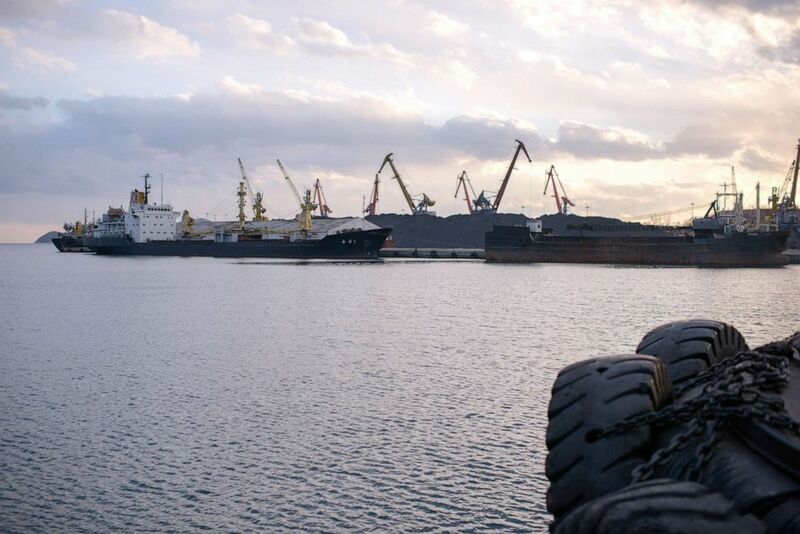 PHOTO:Ships docked in Rajin port, near North Korea's border city of Rason, adjecent to Russia and China, Nov. 20, 2017.